The perfect gift for the person who keeps the grass under control. Tee shirt and sweatshirt are machine wash; imported. 100% Cotton. Specify size. Please note: Sorry, small size not available. 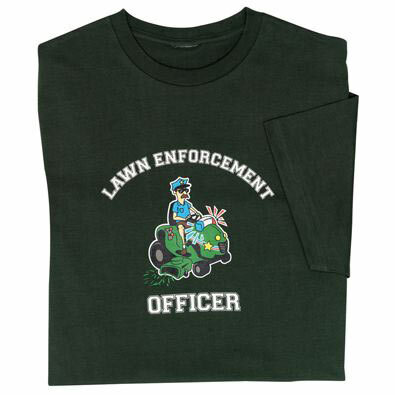 The perfect gift for the person who keeps the grass under control. Imported. Cotton twill. The perfect gift for the person who keeps the grass under control. Tee shirt and sweatshirt are machine wash; imported. Poly/Cotton. Specify size.